Even if you’re not in a profession where you will be dealing directly with legal terms, it still helps to learn about the basics of the different branches of law. Here, we will have a quick comparison of two terms which not everyone may necessarily be familiar with: Substantive and procedural law. First, here’s a brief definition of the two terms. When you say substantive law, it actually refers to the written or statutory law which governs the relationship between people, or between people and the state. Procedural law, on the other hand, is the set of rules followed when a court is hearing a case ‘“ so it basically dictates what will happen during a civil or criminal proceeding. Next, here’s a deeper look at the differences between the terms. When there is an ongoing trial, substantive law is the branch of the legal industry which will define the crimes and punishments to which the accused will be subjected. It’s also the branch of law which defines the rights and responsibilities of a civilian. Compare this with procedural law, which provides a government with the machinery to enforce the rights and duties as defined in substantive law. In layman’s terms, substantive law defines how the facts in a case will be handled, as well as how a particular case is to be charged. As the name implies, it’s the ‘substance’ of the case that is being handled. Meanwhile, procedural law is the step-by-step process that the case will go through. For example, procedural law will dictate whether a case will go into trial or not. Other distinct differences between the two is that procedural law cannot function independently, while substantive laws can. Procedural law does not necessarily decide the fate of a case, while substantive law does. Substantive law is also the branch of law which decides who wins the case, and the compensation to be received. Procedural laws can be applied to non-legal contexts, but substantive law cannot. Finally, procedural law is more about how the law will be executed, while substantive law provides the legal solution to a case. 1. Substantive law is about the definition of people’s rights, duties and power, while procedural law is about prescribing the form and order by which the law will be enforced. 2. Substantive law defines how the facts in a case will be handled, while procedural law defines the step-by-step process that the case will go through. 3. Substantive law cannot be applied to non-legal contexts, while procedural law can be applied to non-legal contexts. 4. Substantive law defines how the case is handled, and how a crime is to be charged, while procedural law describes the manner in which a case will proceed. Mabelle. "Difference Between Substantive and Procedural Law." DifferenceBetween.net. 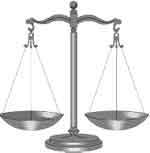 July 28, 2011 < http://www.differencebetween.net/miscellaneous/difference-between-substantive-and-procedural-law/ >.